They say, “What happens in Vegas, stays in Vegas.” After a trip to the “Entertainment Capital of the World,” it’s easy to see why. 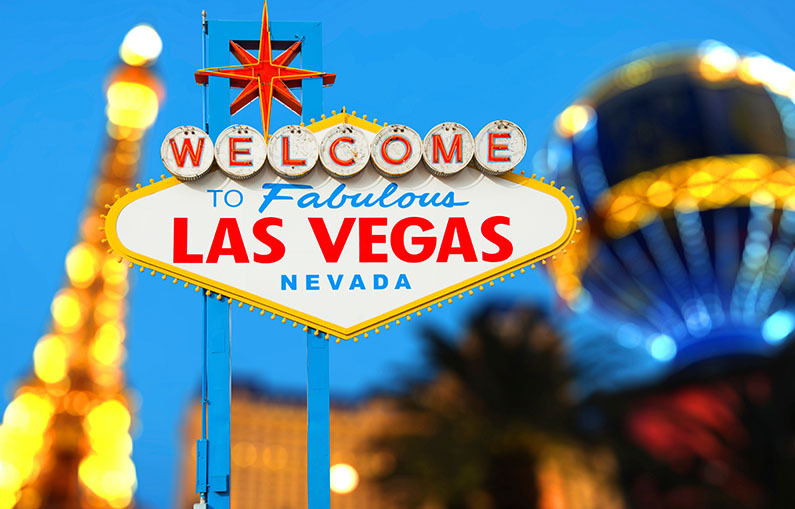 The city of neon lights offers a matchless experience—an overwhelming combination of nightlife, shopping, and cuisine. Nestled between natural wonders like the Hoover Dam and Red Rock Canyon (and between the shows and the slot machines), Vegas tells a story like no other city can. Just west of the Las Vegas Strip, Red Rock Canyon is a natural oasis (sans-neon). This geologic phenomenon is a great place for a scenic drive, a hike, or a bike ride. Step inside the nature-observing center and learn more about the canyon’s history before setting off on your trek. If you’re a thrill-seeker (and/or an auto enthusiast), the idea of Exotics Racing was created for travelers like you. This “experience” affords a driver the drive of his wildest dreams. Pick your car—Porsche, Audi, Ferrari—and go for a five-lap spin on the property’s exclusive racetrack. After a few practice sessions (and with a professional racing coach along for the ride), you’ll be free to take the wheel. Where do the colossal, iconic signs from the Strip go when they’ve been replaced? The Neon Museum, naturally. This “Neon Boneyard” is a different kind of cemetery, working to preserve the integrity of these culturally historic signs. The collection hosts nearly 150 signs so far, and narrates the neon signs’ changes in structure, usage, and design. To plan your trip to Las Vegas or for an extended guide of things to do, visit the official Las Vegas city guide at http://www.lasvegas.com.